If you are a major fan of cremini, shiitake and chanterelles in your fave dinner dishes, get ready to slather them on your face as well. 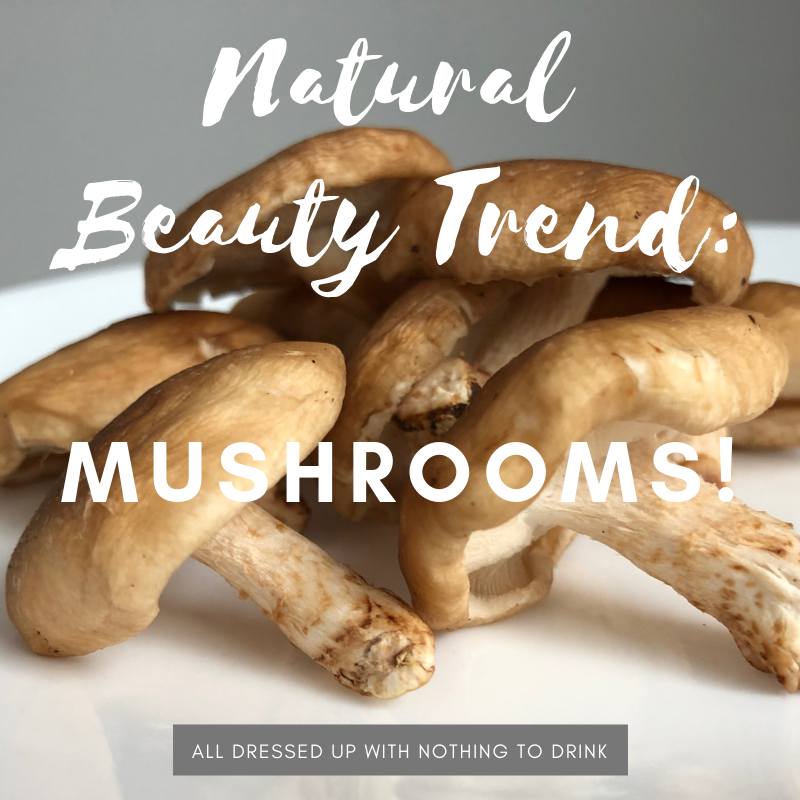 The hottest natural beauty trend is mushrooms, but they have been used for centuries by ancient healers and medicine practitioners in other countries around the world. It is time to hop on the fungi train, and you can get started with a transformative Wild Mushroom facial at Elina Organics. North America is a little late to the ‘shroom party, but Elina Fedotova has been onto the skin-enhancing properties of this fungi for years. She is the founder of the natural skincare line Elina Organics and also created The Association of Holistic Skin Care Practitioners; in short, she is the end all be all source when it comes to natural skincare. 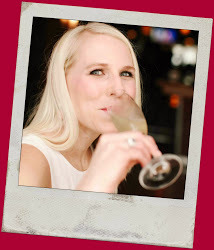 Elina isn’t just an Etsy-level skin serum creator- she is an award-winning Cosmetic Chemist and Aesthetician with a legit laboratory dedicated to producing organic, hand-made skincare products that provide unparalleled results. 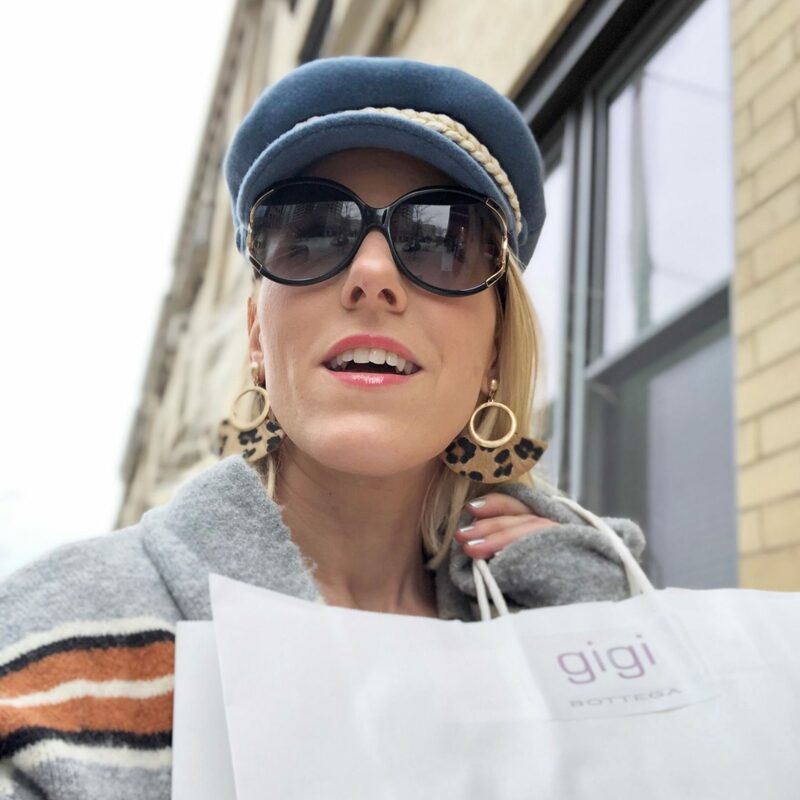 I recently popped into her Walton Street Spa in downtown Chicago which is nestled on the same block amongst fashion favorites such as Gucci, Versace and Dior (as well as Sprinkles- hit up the cupcake ATM if you wish!). Elina settled me into her hallowed room that has been graced by many local celebs looking to turn back time. The 90 minute Wild Mushroom Facial is equivalent to a complete spring cleaning for the skin- it involves actually vacuuming the pores to ensure all dirt and debris has been excavated from the recesses of your face. PS- Elina’s facials were voted the Best Facial of Chicago by Chicago Magazine, and Best Facial for Glowing Skin by CS Magazine. I received not only one of the absolute best facials of my life, but also an education about the chemical properties of topical products. As Elina applied fresh-cut mushrooms to my skin, delivering antioxidants and vitamins in a natural way, she explained why she only uses the highest quality, organic natural ingredients. What you put on your skin is just as important as what you put in your body- toxins you apply topically are absorbed and can affect your overall health. Now on to the science of mushrooms and why they are magically delicious and effective! Elina uses Chaga Mushrooms, Reishi Mushrooms, Cordycep Mushrooms, and Lion Mane Mushrooms during her Wild Mushroom Facials for their rejuvenating, hydrating, and brightening properties. All mushrooms are fresh- she presents the tray of fungi like a charcuterie board, ready to slice, dice and apply to your waiting (and wilted) skin. 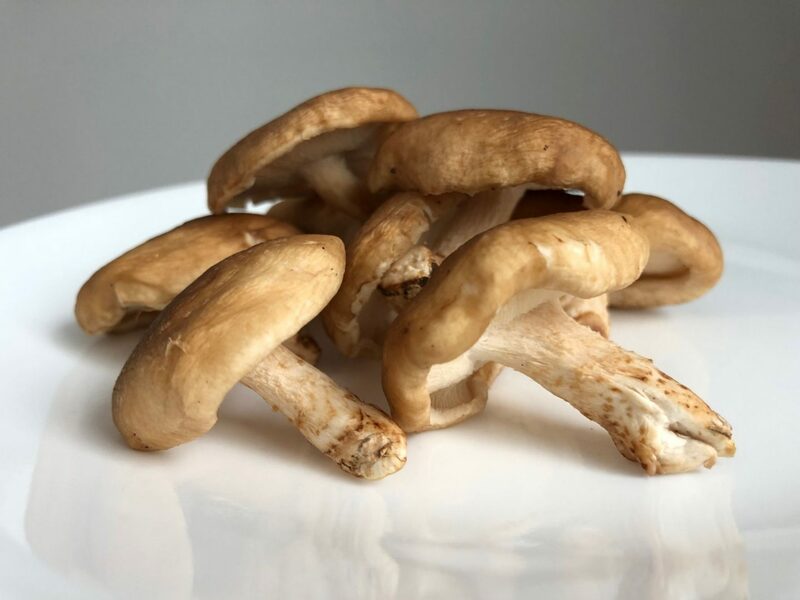 Mushrooms have high levels of the B-complex vitamin, which calm redness and inflammation and actually brighten the skin in addition to promotion collagen and elastin. Elina is also a major fan of mushroom-produced kojic acid which slows pigment production and lightens the skin. Some mushrooms are even used in place of the ever popular hyaluronic acid because of the ability to retain water and hydrate. After the deep dive of skin cleaning and extracting (she had to go over my skin multiple times to get the gunk out), Elina applies mushroom infusions and masks with the help of an ultrasonic tool. I love how she isn’t afraid to combine centuries-old ingredients such as mushrooms with cutting-edge technologies, marrying the ancient and current sciences to create an ideal skin solution. She also delivers micro-current face lifting and muscle tightening treatment without the use of needles or toxins. After my 90 minute completely rejuvenating facial is complete, Elina hands me a mirror to check out her masterpiece. I demur, recalling the redness and destruction that previous facials have wreaked upon my complexion. She insists, and I glace quickly at my reflection. Stunned, I take another look- my skin isn’t red and inflamed; instead, it is clear, shining and dewy. Botanical Toner– This rose-based mist gently hydrates, energizes, and nourishes the delicate complexion. Unlike many other toners, all ingredients are natural and certified organic. Probiotic Peel– Probiotics are all the ingredient rage for food, but they are also incredibly beneficial for your skin. This leave on organic skin restoring and healing serum helps to smooth texture, reduce skin irritation and discoloration for a healthier, and more radiant appearance. Under Eye Recovery Mask– Aging is often first detected in the skin around your eyes, which is thinner and more prone to wrinkles. This rich, hydrating mask contains 30% Vitamin C and White Truffle Extract, and helps firm and restore the under eye area immediately. I highly recommend scheduling a Wild Mushroom Facial at Elina Organics! My face remained clear and radiant for weeks after the facial- friends even asked if there was “something different” about my skin. I was able to wear minimal makeup (as opposed to the full spackle-method arsenal of makeup I use in the winter). You spring clean your home and your wardrobe, doesn’t your skin deserve the same pampering treatment? Let that inner beauty shine on the outside! Purchase whole organic mushrooms- varieties that are widely available and contain vitamins and antioxidants are Oyster or Shiitake. After cleansing face (I recommend a cleansing oil, I find it is hydrating and truly cuts through makeup), cut mushroom in half down the center and wipe face with the side that you cut. You can also blend the mushrooms with organic herbal tea in a food processor to create a paste/mask. Apply like you would a traditional mask and rise after leaving on for 10-15 minutes. Thank you to Elina for rescuing my tired skin and hosting me at her downtown Chicago sanctuary for the morning! I will definitely return!